Duncan Green, a strategic advisor for Oxfam GB and author of “From Poverty to Power”, wrote an excellent post “So you’ve written the research report: what else do you need to do to ensure people actually read it?”. Duncan proposes some options and solicits readers to add to his list. This article is definitely worth a read. One area not covered in this post or the related comments are podcasts. I believe academics have an incredible opportunity to use a podcast to promote their research. Podcast consumption is on the rise for various reasons. Despite all the content that is out there, podcasts are the only form of digital media that can be safely consumed while driving or running. As mobile phones have become more ubiquitous, individuals can more easily access podcast content. There has been a 25% increase in podcasting consumption from last year, according to Edison Research. 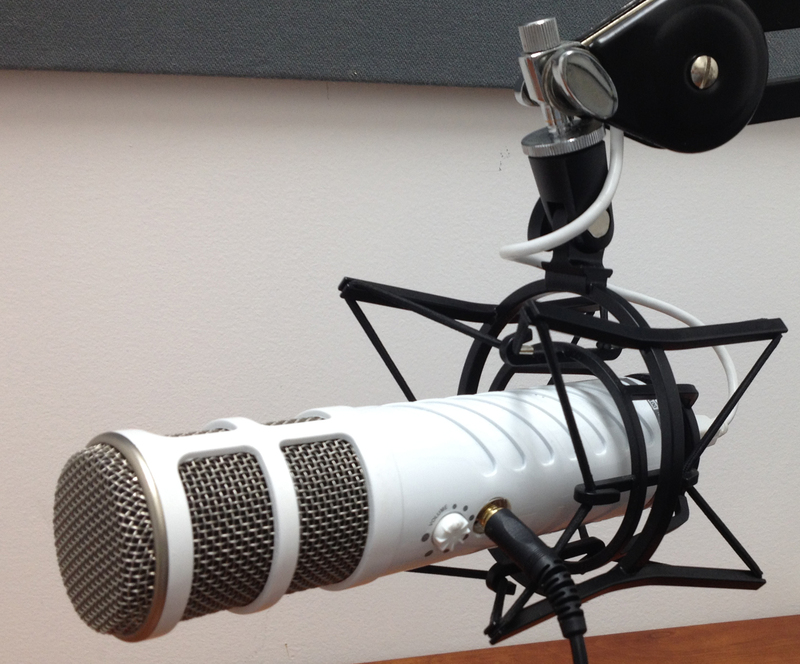 This Washington Post article outlines the business benefit of podcasting. I have always enjoyed listening to podcasts. For me, they have been an incredible source of learning for me. Last December, I started my own podcast: For Immediate Release on Higher Education. The show, focused on higher education communications, has opened the door for me to interview interesting folks and build a small niche audience. As part of my show, I was looking to interview an academic who had his / her own podcast channel. I had a very difficult time finding someone who could come on my show and share best practice, until I finally came across Oral Roberts University Professor David Burkus. His terrific podcast the Leader Lab (LDRLB) focuses on leadership, innovation and strategy. In my most recent podcast episode, David shared some insights with me about his podcasting journey. Corey Olsen, host of the Tolkien Professor, teaches English at Washington University in Maryland. His podcast led him to founding the Mythgard Institute. Steve Levitt, a professor at the University of Chicago, is the co-author of the best-selling book Freakonomics and a regular contributor to the Freakonomics podcast. Michael Netzley, a professor at Singapore Management University, provides regular contributions to Shel Holtz and Neville Hobson’s communications podcast, the Hobson and Holtz Report. Michael’s contributions are focused on communications in Asia. (Michael was also a previous guest on my podcast). Duke University Professor Mark Anthony Neal hosts a podcast called Left of Black. According to its Twitter handle, Left of Black offers a ‘contrarian view of blackness’, interviewing academics & artists. 1. If a professor does an annual survey, why not interview guests related to the survey demographics on a regular basis as a means of providing ongoing thought leadership on the subject, instead of the typical one off announcement when the survey results are launched. This would build up a bigger audience, serve as a platform to announce the annual findings and in all likelihood improve the number of participants taking part in the survey. 2. If an academic has a new book recently launched or forthcoming, why not convert some of those book chapters into podcast snippets as a means to promote the book. Or you could interview some of the individuals featured in your book for your podcast. Ditto for a new research project. 3. If an academic has interesting viewpoints on something newsworthy related to his / her expertise, why not consider a weekly audio commentary? Know of other professors producing their own podcast? Also, what are some other ways academics can use podcasts? Feel free to share in the comments.